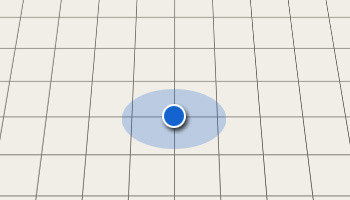 Your device is missing a location, street, etc. Make sure your device has the latest version of its navigation software and map data. Your specific problem may have been reported and fixed already. If you use a dedicated GPS device, such as a car navigation system, you may need to manually download and install the latest map update from its manufacturer. The download may be free or involve a fee; consult your device manual or manufacturer for specific details. Many navigation devices and apps, such as those from Apple and Google, let you report a problem from within the device/app. The device then sends your correction wirelessly or uses your computer's Internet connection to submit it to the manufacturer. Check the menus and documentation for your device/app to see if it offers this feature. Even if the previous steps correct the problem in your device, others may still experience it in their devices. Visit the following websites to report the mapping error to other companies and organizations that maintain digital maps. To reach the most GPS users, we recommend reporting the same problem at each of these websites. After you submit your correction, it may take weeks or months for each map provider to verify it and issue a map update. Once an update is issued, you should see it immediately if you use a mobile app or online map. However, if you use a dedicated GPS device, you may need to manually download the update to see the change. The download may be free or involve a fee; consult your device manual or manufacturer for specific details. Likewise, other people may not see the change until they update their devices.